Your words are ripe with blessing as well as your images. Thanksgiving blessings to you. Beautiful Elk, Sending you wishes for a wonderful Thanksgiving week with your family. 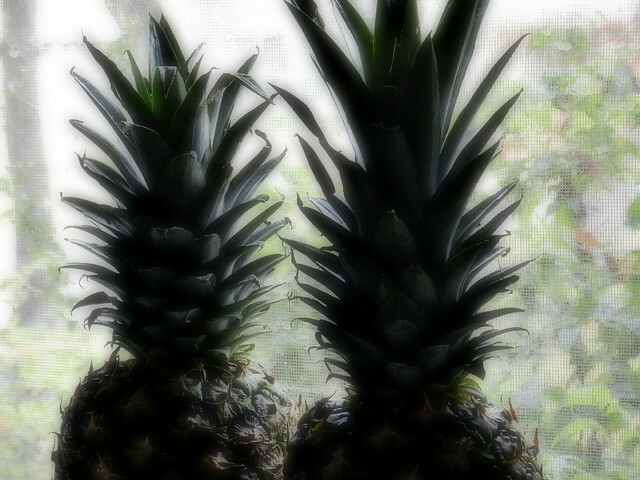 ...I wish I had pineapple in my house right now...lol. I do have Mandarin oranges. hugs. My green pineapple crowned the fruit bowl for a few days until it became golden like some exotic folly, caught in the setting sun. Lovely images, Elk ... wishing you a thankful week! You're always so poetic. Enjoy your time with the family! 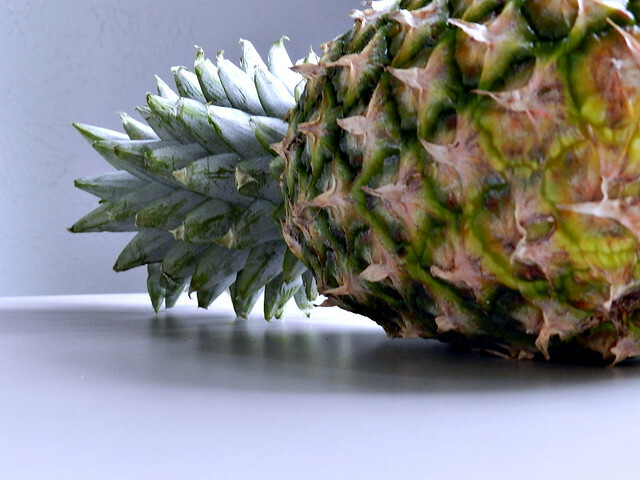 Pineapples remind me of my childhood. What a lovely ripeness for your days to come. lovely images... may your family gathering overflow with love and blessings. have a great thanksgiving !!! sounds like youve got preparations done for your thanksgiving. 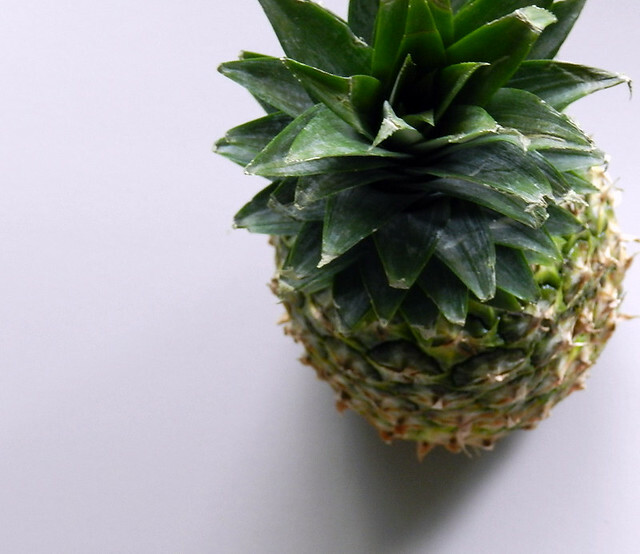 and if the pineapple doesnt turn out sweet, use it in a savoury dish. love it curried! 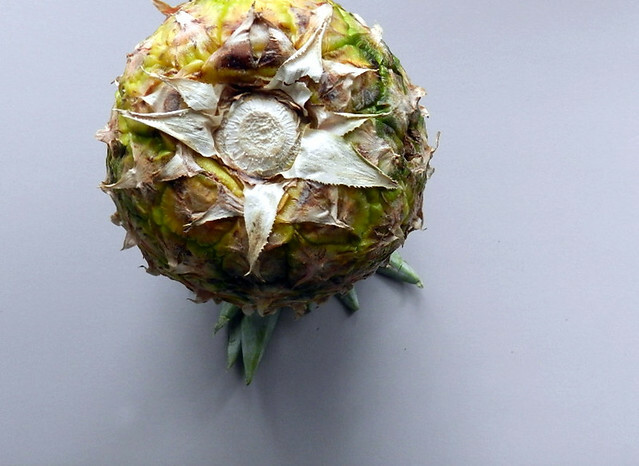 Love what you've done with this pineapple. And - not on my list either..but certainly a good thing to have. Wishing you a happy Thanksgiving! Wonderful post and such great photos! Hoping that your bowl of joy is ever so deep. Beautiful and yummy! Happy Thanksgiving to you and your family, elk! Happy Thanksgiving, enjoy your time with your daughters. 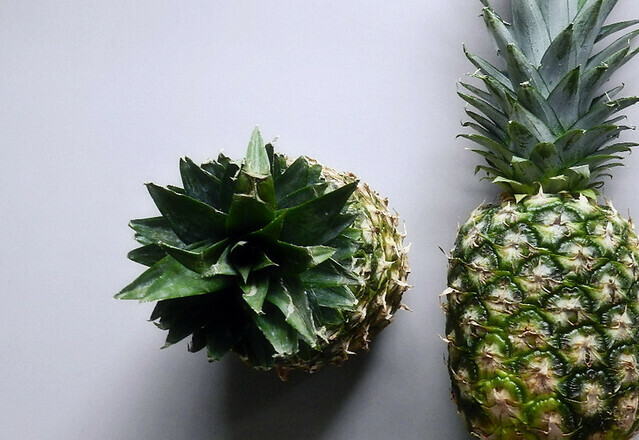 i didn't know pineapples had stars, were stars, but of course they do/are. how could they not? it takes someone green with faith to show me. a gorgeous few words, by the way. one with so many vantage points. love how you LOOK and See. "catching up over a deep bowl of joy"
"reminds me of ripe days to come"
such poetry in you, friend. i love it.